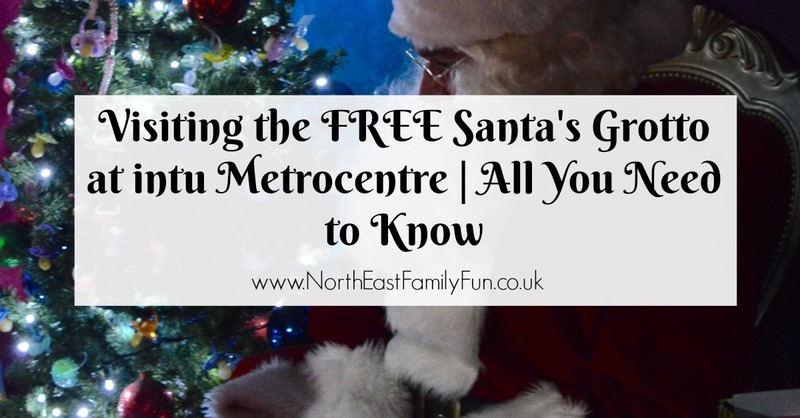 When I was a little girl, we would always visit Santa Claus at either Fenwick in Newcastle or at intu Metrocentre (although I'm not sure if they were 'intu' back in the 80's??). Sometimes I think my parents had it easier than us. As far as I know, both of these options were free and there just wasn't the option to pay £££ for that 'perfect' Father Christmas experience. I know that our parents had their own pressures but I really don't think they were under as much pressure as we are today to create that perfectly magical Christmas experience. Today, the stress of Christmas really hit me and I do wish at times we could go back to a time when Christmas was a lot more simple. I know this pressure is mostly pressure I put on myself and I'm working on it. I have been taking my own children to visit Santa Claus for 10 years now and have pretty much tried them all. From a disastrous experience at Beamish where we paid £60 to queue for nearly 3 hours in the cold to visit Father Christmas (I won't be rushing back to that one) to a magical experience at the Rising Sun Country Park that I'll never forget, we've tried most of the experiences that the North East has to offer. I have never taken my children to visit a 'free' Santa Claus before. I will be honest when I say I think this is probably because I have fallen into the trap of wanting to create that perfect Christmas and in my mind, I didn't think a free visit to see Santa Claus would be up to scratch. 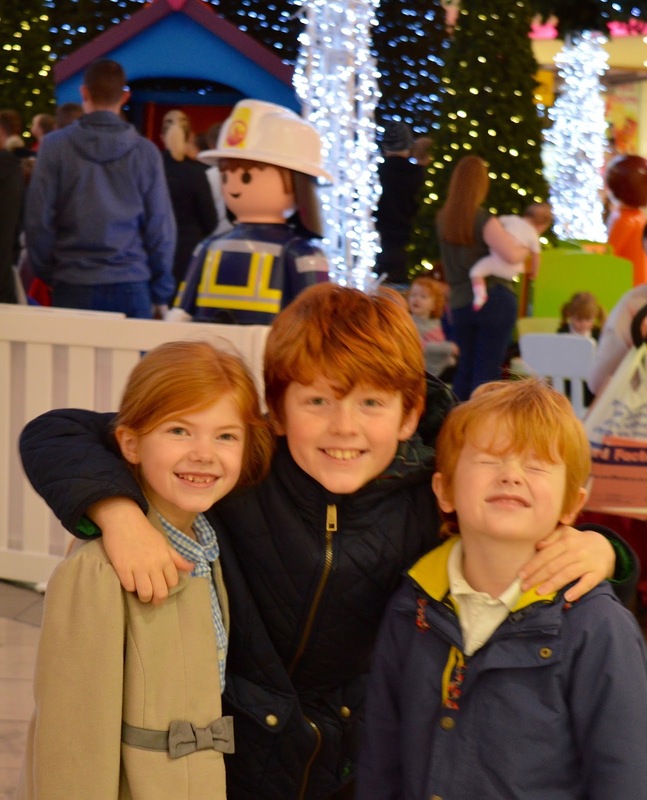 The lovely people at intu Metrocentre invited us along to visit Santa Claus after school this week and as always, I will be completely honest in my review. Personally, I would not choose to visit over the weekend if it can be helped as it will be busy, busy, busy. I reckon after school is your best bet. 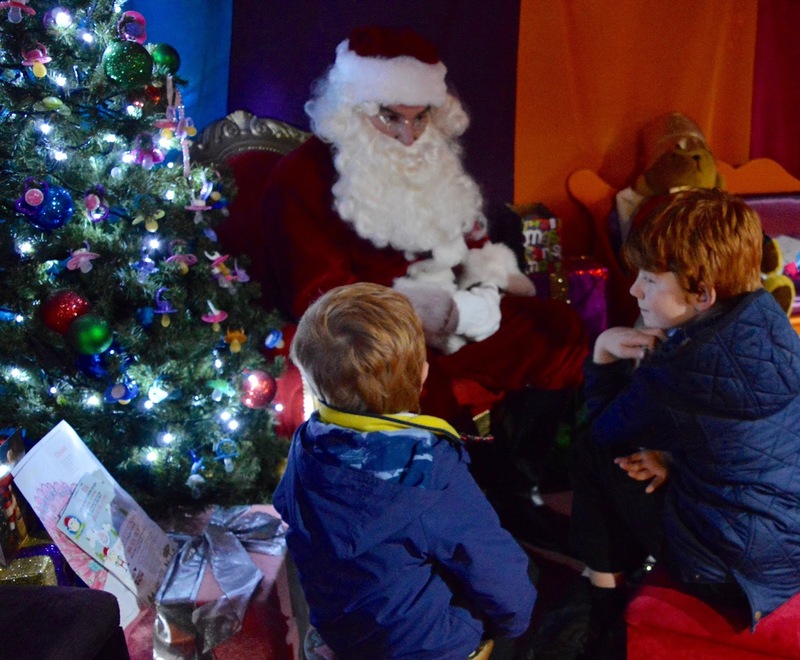 The grotto closes at 8pm and I think if you can head there straight from school or head out for something to eat first (we recommend Carluccio's and have recently tried Byron which we also loved - review coming soon) and visit after 7pm, it will be quieter. Obviously, if you have pre-schoolers or babies, a visit during school time would be perfect. Saying that though, my friend Karen visited on a Sunday and only queued for 35 minutes which I don't think is bad at all. 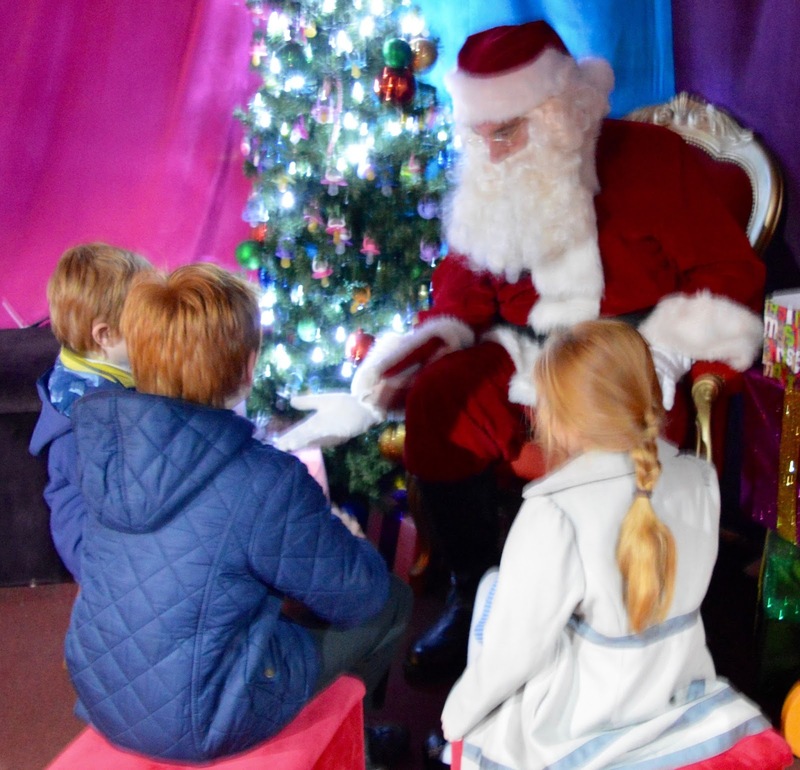 If you still need to head out for a few gifts, I think a visit to Santa's grotto would make a perfect distraction. It's also worth checking school holidays. For example, in Northumberland, our schools break up on 16th December whereas they don't break up until 21st December in Newcastle. Therefore I think during the daytime on 19th or 20th December would also be a good time to visit with school aged children if they are lucky to have broken up from school. 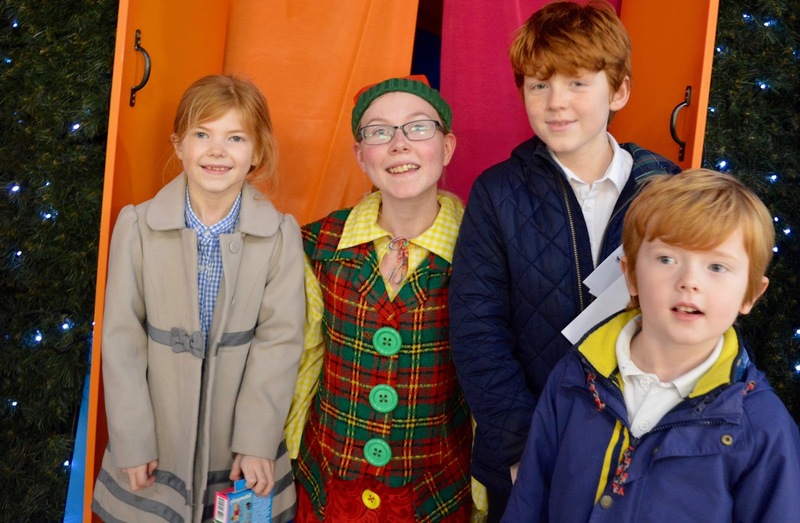 There are a few activities in the queue to keep your little ones entertained such as colouring sheets and elves will pop out now and again too. 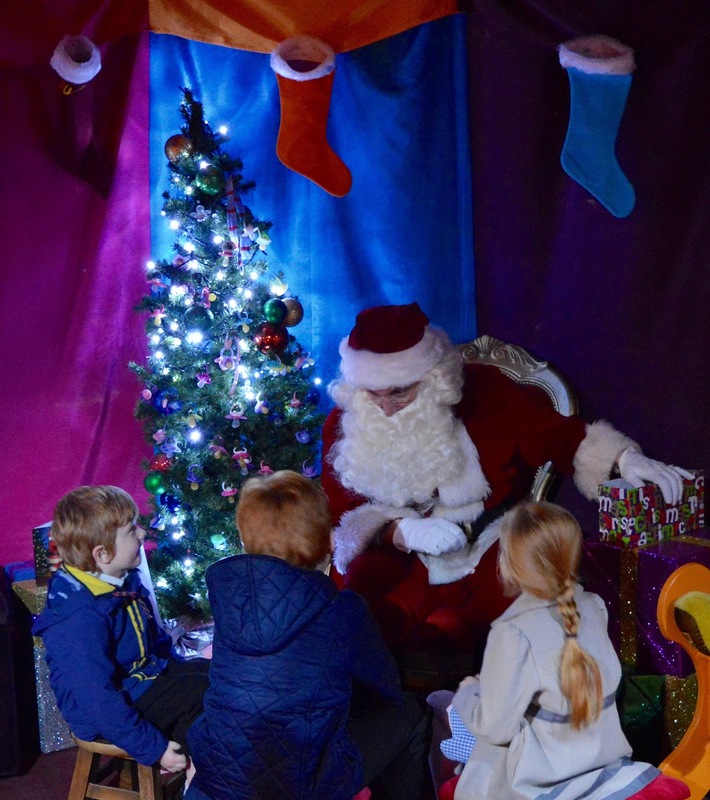 You will find Santa's Grotto under a beautiful giant reindeer on the ground floor of the Qube by Argos and the setting is gorgeous. 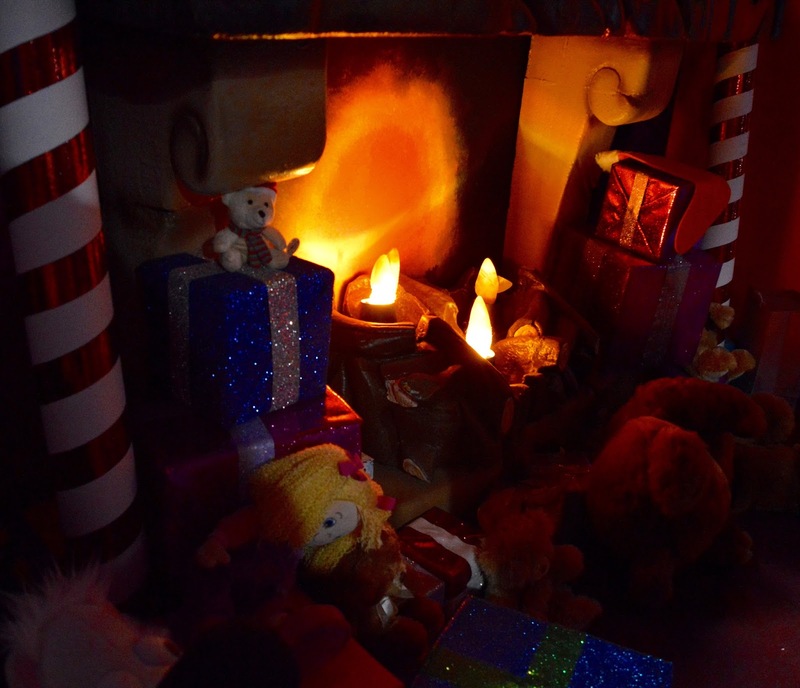 It's a lovely little grotto filled with twinkling lights, an artificial fire in the corner and little details such as mail sacks dotted around the room. Children can sit on a stools by Santa Claus and there is a Christmas tree in the corner where your little one can leave their dummy/soother if they're ready. I love that you get some proper one-on-one time with Santa Claus and each family is taken in separately. It's a real family occasion and I love some of the photos where I managed to catch Harry looking at Jack. It was a lovely interaction. 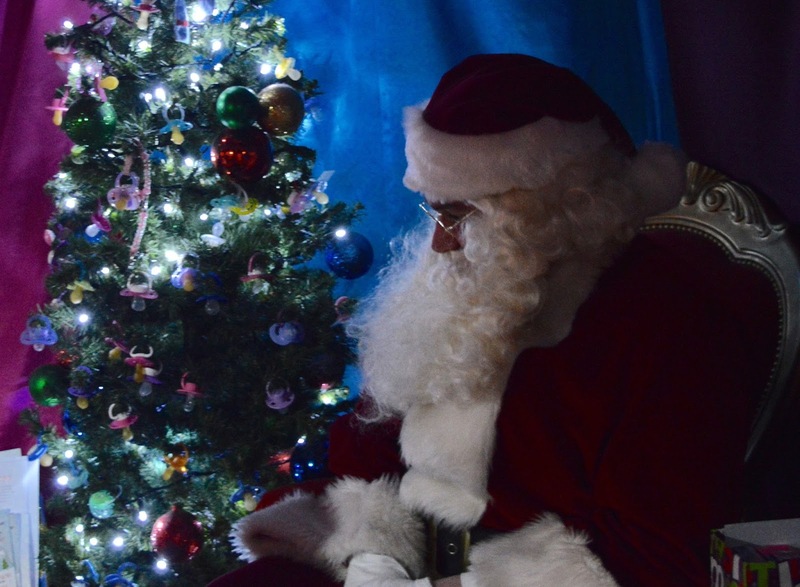 Santa Claus is fun and asks the children about their day and what they'd like for Christmas. I think he was quite shocked when Heidi asked for a pogo stick and he made a little joke with us about using it to change our lightbulbs. 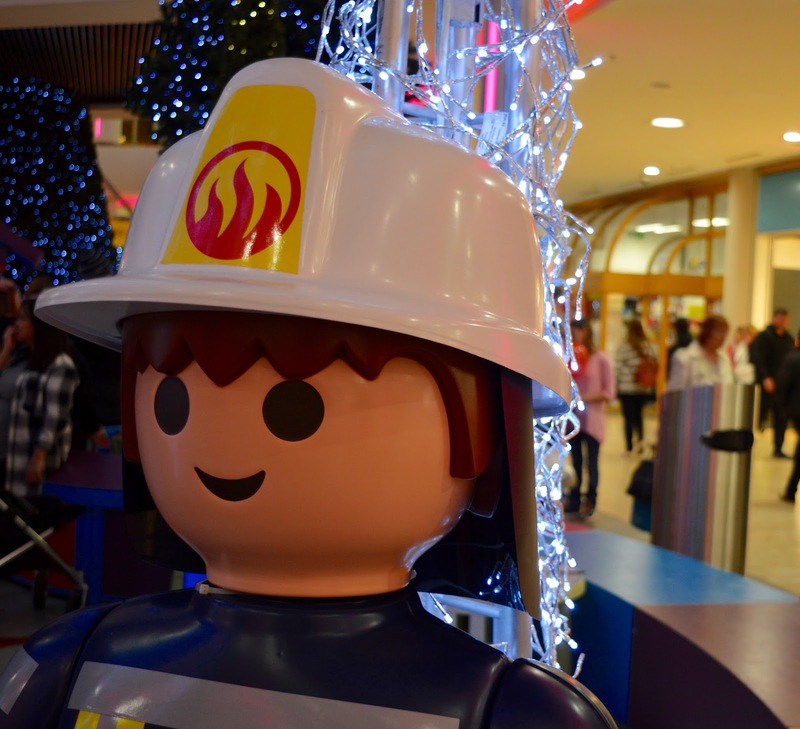 Santa Claus is happy to pose for photographs and every child will receive a lovely Playmobil gift and certificate. If I was to pick faults I would say that Santa's beard isn't real and I do prefer a real beard but again, I am going back to 'must have the perfect Christmas' mode with this criticism aren't I? The kids don't even notice, it's just us grown ups that do. The whole experience lasts maybe 2-5 minutes and you never feel rushed. 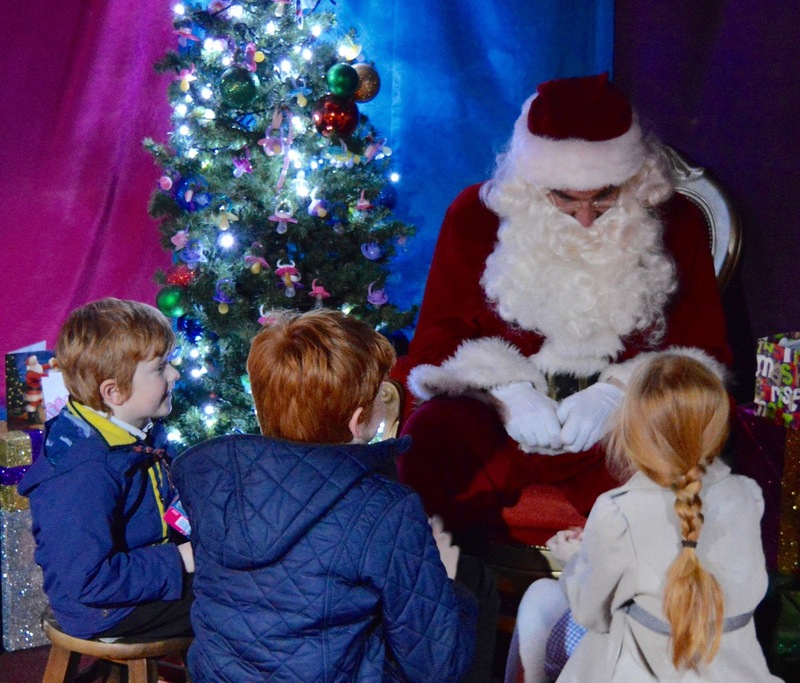 In my opinion, Santa Claus was good and en-par with the Santa we have visited at places such as Whitehouse Farm or Tanfield Railway in the past. 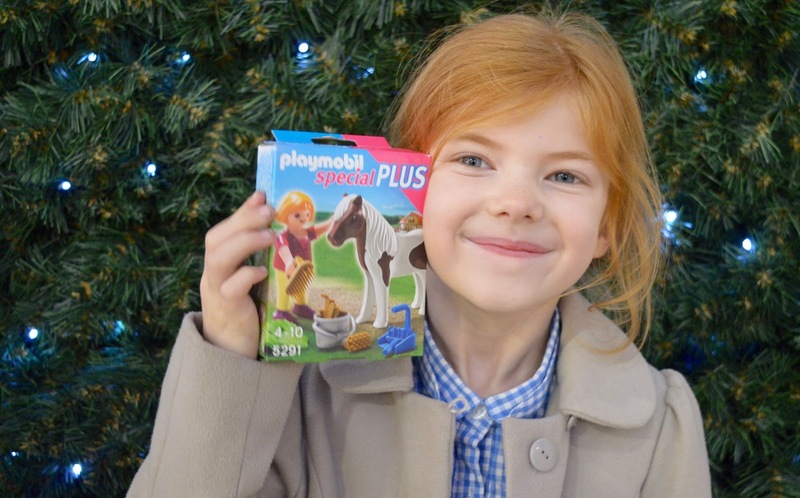 We received this Playmobil Fireman for the boys (£2.99) and this Playmobil pony for Heidi which retails at £6.99. I can't believe these are free! I think at age 10, Harry was perhaps a little too old for this present but he still appreciated it. Jack and Heidi simply adore their figures. Heidi's horse even joined us at Byron afterwards. If your daughter would prefer a Fireman or your son would like a pony, this won't be an issue and they will be able to choose their own. A special shout out to Santa's elves who keep the whole operation running smoothly and I think they were actually the real deal. They were happy, smiley and definitely added to the magic. My overall verdict is that you'd be a fool to miss out on such a fab opportunity to visit Santa Claus. 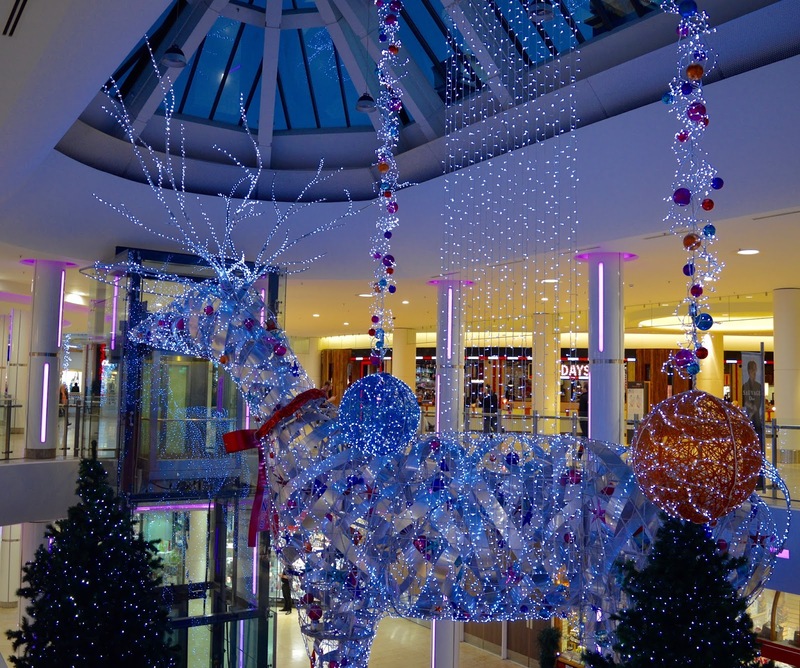 It's free to park your car at intu Metrocentre and you don't need spend a single penny to enjoy this lovely Christmas experience. In a world that is increasingly commercialised and where I feel like I am forever putting my hand in my pocket, this is really refreshing. 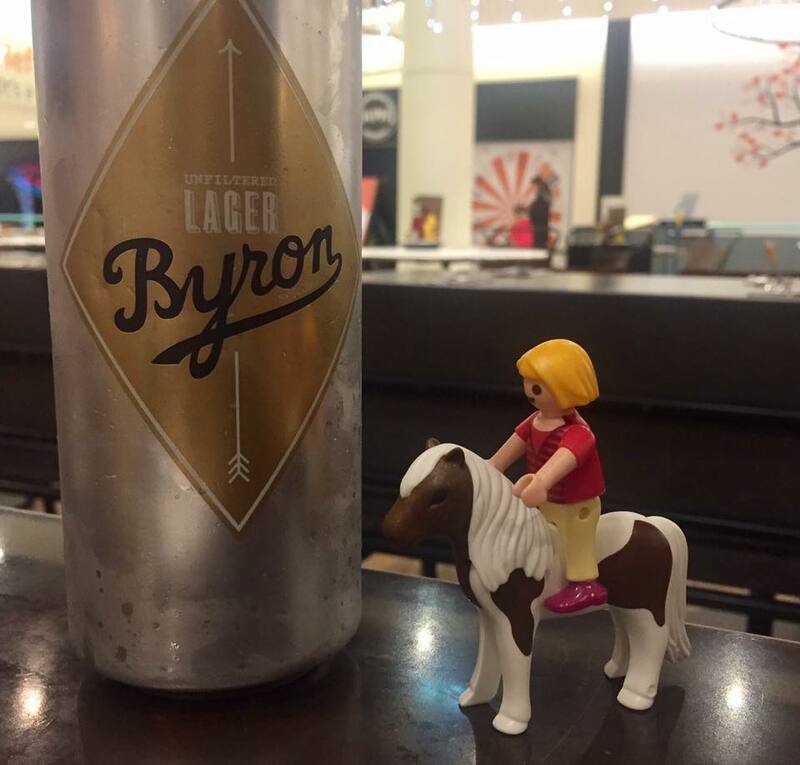 If you did want to stay a little longer, we visited Byron for dinner and would recommend. We also let the kids spend a couple of pounds each at Namco before watching Fantastic Beasts and Where To Find Them at Odeon. It was a lovely evening and such a nice way to spend some quality time together rather than stressing about everything I need to do before the kids break up from school next week. Sounds like a perfect evening! 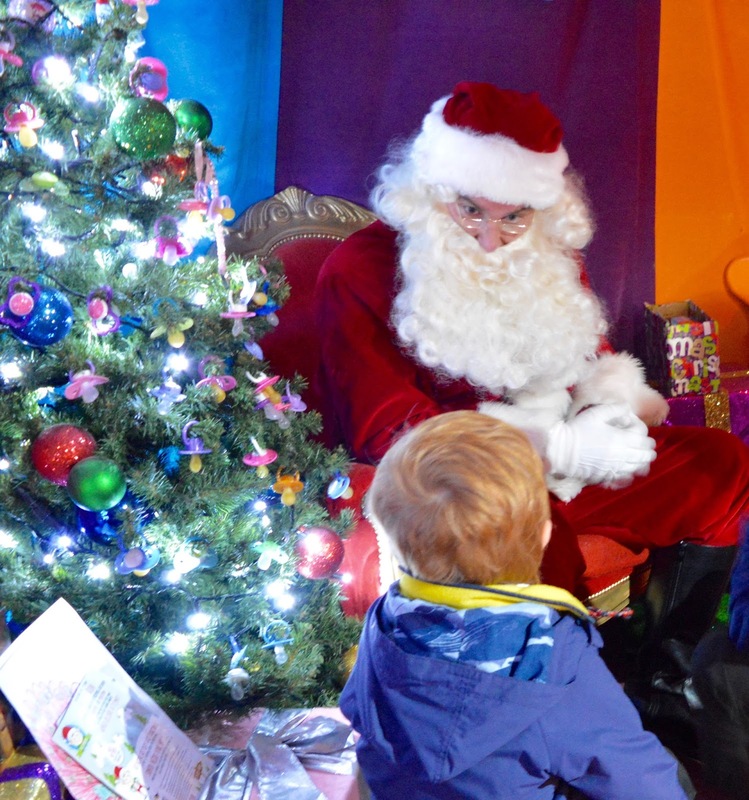 We had a great time at the metro centre Santa too and I agree the gifts are great, especially considering it's free. I've had much worse gifts at paid for events! I would say we went at opening on a morning at the weekend and the queue was reasonable. I'll share this today at 4pm. We visited after school on a Tuesday and queued for 30 minutes. Really good idea to have some PS3 for the kids while waiting. 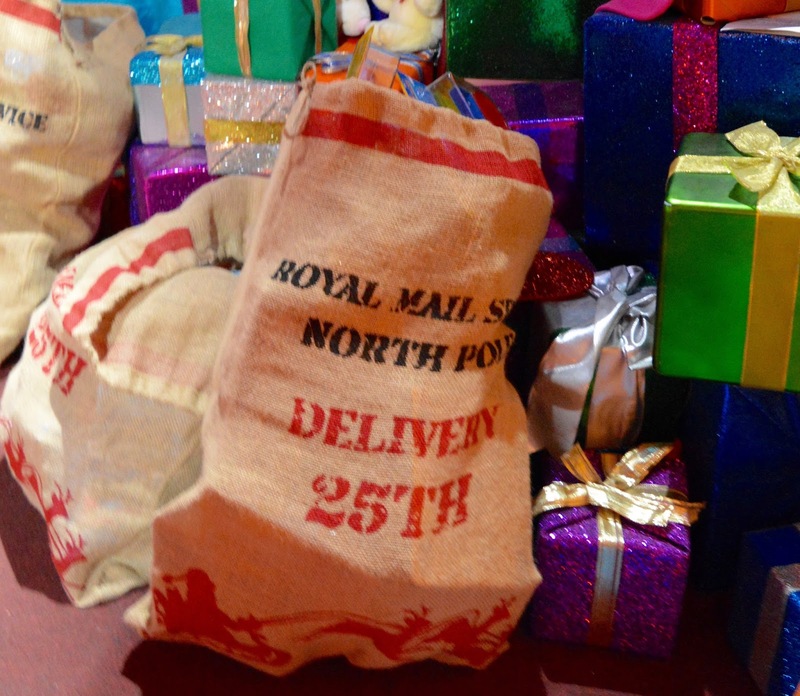 Important to know that children under 18months won't get a gift. 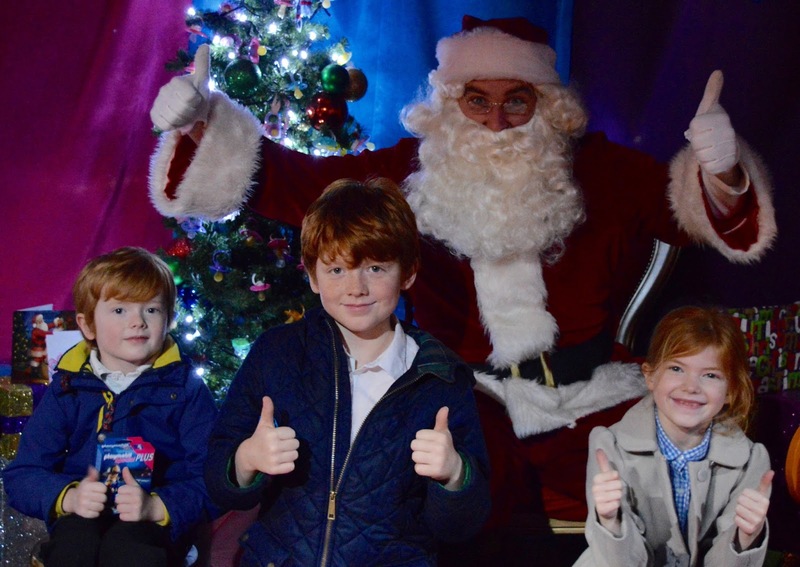 We got a fireman for James and a boat with driver for Noah, plus a brilliant experience with a talented Santa --- and can't believe it was free! We loved it,totally worth a visit we went on a Sunday lunchtime and still only queued 35 minutes!